Why: Runaway, record high fuel prices is impacting the entire economy and every business – other than Visa and MasterCard’s member banks which reap windfall profits – upwards of 1.70% in service station interchange fees from every credit card electronic payment. “As longtime civic leaders, we have noticed a steep decline in local traffic to retail establishments as pump prices soared to record levels,” explained Mitch Goldstone, president and CEO of ScanMyPhotos.com, the pioneer in super-fast and affordable digitization of generations of photo snapshots. *From April 22nd – May 29th, 2008 all local Orange County residents will receive an extra perk to reward and incite people to bring in their generations of family photos to be scanned; FREE gas. ScanMyPhotos.com is randomly providing from $5.00 – $25.00 Chevron gas Gift Cards for all local ScanMyPhotos.com walk-in only orders [purchase required; pay just $49.95 to scan up to 1,000 photos). 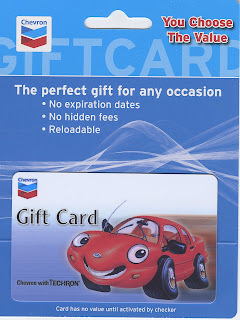 The Chevron Gift Cards can be used in the United States for fuel, snacks and services and are accepted at nearly 10,000 Chevron branded stations in the United States. There are no hidden fees and no expiration dates.